The purpose behind #HereForFarmers has always been to impact positive change around mental health issues in Agriculture. The number of suicides in our industry is staggering and the stigma around mental health challenges isn’t helping. The stats aren’t just numbers to us, they are our family, friends, coworkers, and users. Over the past 4 years we’ve been able to donate over $16,000 to support the farm stress line and continue to elevate conversations on how to stand up to the stigma and navigate mental health challenges. We are so excited that this important topic has become much louder and we know that there is strength in numbers. 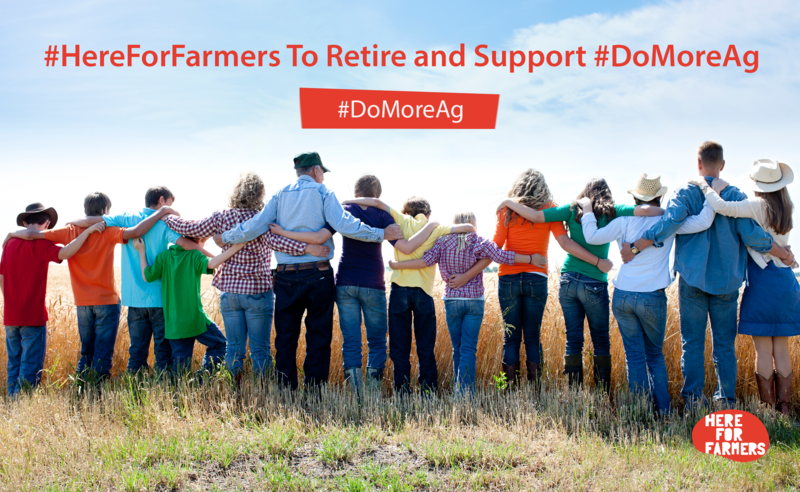 To that end, we will be retiring #HereForFarmers and are proud to announce that we will be supporting #DoMoreAg who has the same mission and values that we have always been committed to. Working together with the #DoMoreAg community will allow us to reach even more people, and work towards our common goal of eliminating stigma and keeping our industry mentally healthy. We thank you for your support over the years and encourage you to support this wonderful initiative to keep the conversation going. Visit DoMoreAg to see how you can ‘DO MORE’.